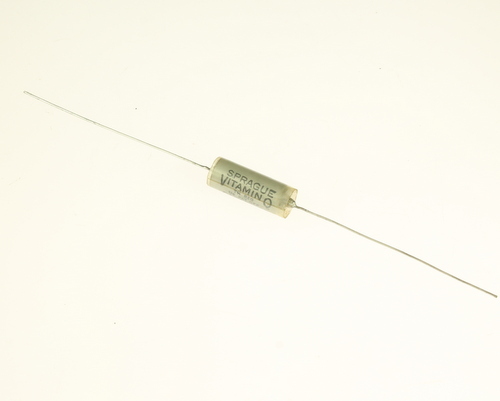 Vitamin Q. Hermetically Sealed Paper Capacitor. Axial Leads. Designed to meet stringent operating requirements. MIL-C-25. Made in USA.